THE SKINNY: I didn't really think anything about Tata Harper Regenerating Cleanser. It was very average. And then I saw the price tag -- $75 for a cleanser! I had to be missing something, right? From the manufacturer: "This gentle exfoliating cleansing treatment acts as a 4-in-1 product to thoroughly cleanse and improve glow while purifying, minimizing the appearance of pores and helping to protect the skin’s natural hydration balance. Free of soaps, alcohols and detergents, this cleanser clarifies with fresh enzymes, clays and essential oils, while microspherical beads polish the skin and reduce appearance of blackheads – all without stripping the skin of moisture." KEEP OR TOSS: Keep, but I won't buy. 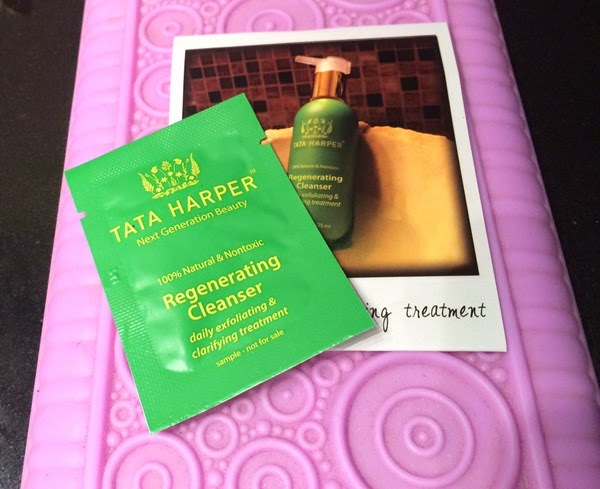 CHECK IT OUT: You can find Tata Harper Regenerating Cleanser and more from the brand online.